Pumping water for irrigation can be a major expense for irrigated farms. In 2003 more than 500,000 pumps were used for irrigation, and the total estimated energy cost nationwide was over 15.5 billion dollars. 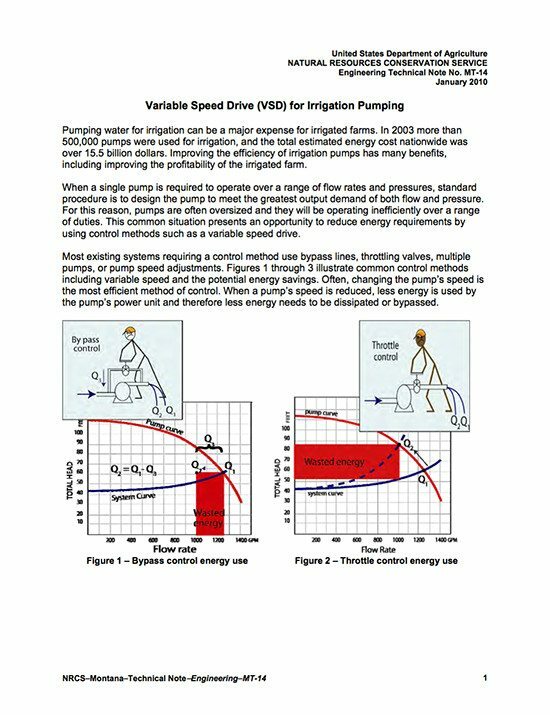 Improving the efficiency of irrigation pumps has many benefits, including improving the profitability of the irrigated farm. When a single pump is required to operate over a range of flow rates and pressures, standard procedure is to design the pump to meet the greatest output demand of both flow and pressure. For this reason, pumps are often oversized and they will be operating inefficiently over a range of duties. 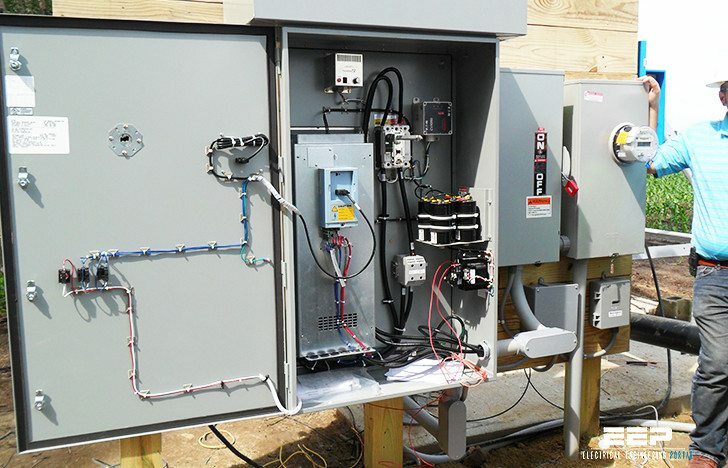 This common situation presents an opportunity to reduce energy requirements by using control methods such as a variable speed drive. Most existing systems requiring a control method use bypass lines, throttling valves, multiple pumps, or pump speed adjustments. 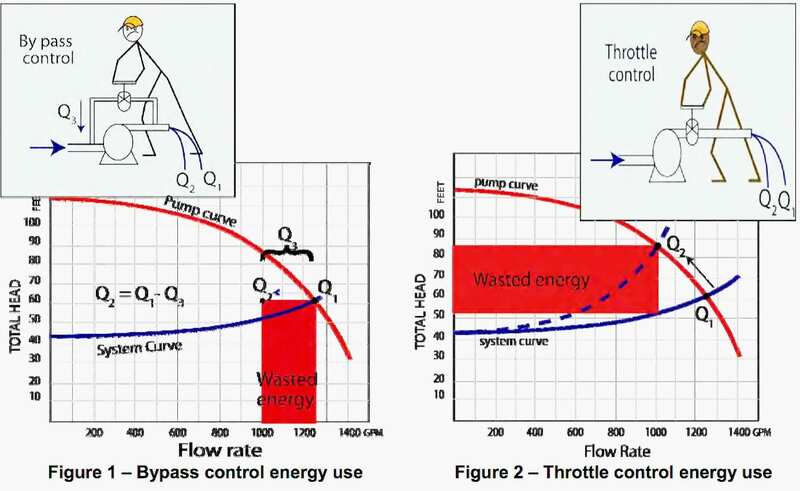 Figures 1 and 2 illustrate common control methods including variable speed and the potential energy savings. Often, changing the pump’s speed is the most efficient method of control. When a pump’s speed is reduced, less energy is used by the pump’s power unit and therefore less energy needs to be dissipated or bypassed.